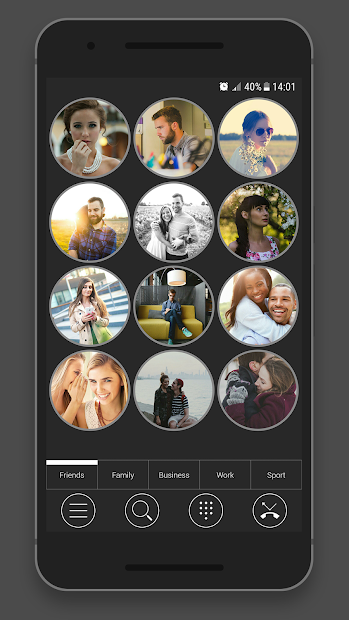 - Unlimited contacts in each group. - Swipe/Fling between the groups. 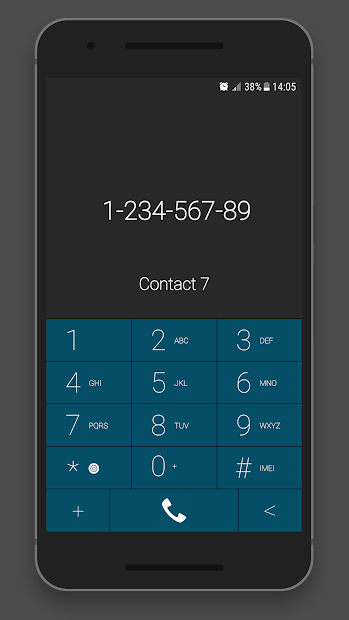 - Contacts, Dial Pad and Call Log. - Rename groups, select groups to show, group button height. - Contact label on image, label text and frame height. - App start on phone start up. - On touch select option or call or write SMS. - Contact effects, which can be customized by user. 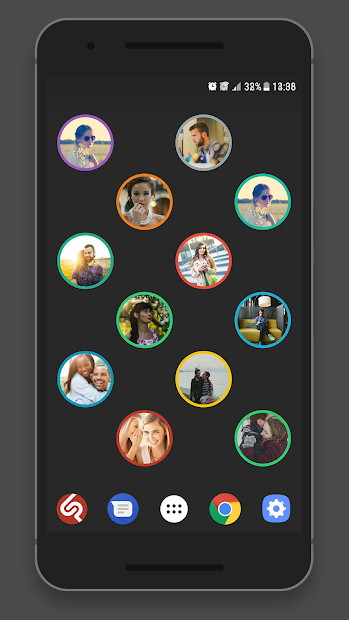 - Rounded frame and image corners. - Change added and empty contact image size. - Manual order of the contacts in the group.